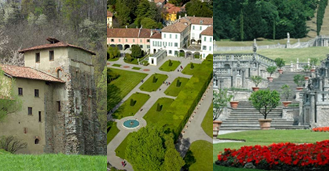 Also this year come back the historical manifestation of the FAI celebrating its beauty throughout Italy with a week of openings and extraordinary visits to free contribution. FAI Spring Days 2015 will fall Saturday 21st and Sunday 22nd March, with a rich programming that still must be well defined. The full program will be available in detail from Wednesday 11th march, and Hotel Ungheria – as FAI Partners – of course will update you! The one on which you can rely is the certainty of guided visits by experts, including foreigners, in several languages, and apprentices cicerones, namely prepared students and enthusiasts who have performed as volunteers for the 23rd edition of the event. Also, as every year, the FAI will certainly some “goodies”, such as the opening of FAI Properties not normally visited by the public.